There are many reasons to take an internship (class credit, real world experience), but in my opinion, the most important reason to take one is to discover a career path that you love. When I started my search for an internship, I wasn’t entirely sure of what I wanted. As a senior at Sarah Lawrence, with a liberal arts concentration and an interest in art and psychology, I can assure you that recruiting was not on the list. In fact, I had no idea what recruiting even entailed. However, as I reflect on my time here at CFW Careers, I can say with certainty that I couldn’t have asked for a better internship experience. So, why do I think you should pursue an internship with CFW Careers? You get exposure to all functions of the business. Internships at large companies are often highly focused on one specific job function, but boutique businesses work differently. Because of the small, collaborative atmosphere of CFW Careers, I quickly became aware of everything that makes the company run. My official title was “Recruiting and Consulting Intern”, and although I did spend much of my time working on those aspects of the firm, I also worked on marketing, employer branding strategies and research, phone interviews, event planning, and prospecting new clients. I was even able to show off my Photoshop chops! There was never a dull moment, and I came away with a greater appreciation for everything that goes into making a business successful. CFW Pro Tip: With so much to do, you don’t ever have to worry about taking coffee orders! You gain insight into a variety of industries. Because CFW Careers recruits for a plethora of other companies, I quickly obtained knowledge about so many industries of which I had previously been unaware. I learned so much about sales – from AdTech to FinTech – by researching the clients, discussing the specific companies with my colleagues, and then diving into the job description and ideal candidate profile. Finding qualified candidates and learning about their backgrounds during phone screenings helped to broaden my understanding of what kinds of jobs are out there – especially useful with graduation fast approaching! CFW Pro Tip: You’ll become a point of reference for your friends who are also actively looking for post-grad opportunities! Your network will grow at an astonishing rate. Although I would say I have always been a “people person”, I don’t think I have ever met so many people in such a short period of time. Through outreach and networking events, the opportunities to meet fascinating new people are endless. I started out my internship with less than 200 LinkedIn connections, and hit the 500+ mark within a month! With such a small, intuitive team, it makes sense that your coworkers will understand your strengths and struggles fairly quickly. The team at CFW Careers helped me understand and identify how to best grow my abilities, and gave me feedback regularly. In such a safe, supportive environment, my confidence increased noticeably in one semester. At the end of the day, your job is about helping others. What could be more rewarding than that? Whether it’s placing someone in their dream job, helping companies reevaluate their mission and connect with employees, or guiding someone towards a more fulfilling career path, you’ll never leave the office feeling like you wasted time doing something that doesn’t matter. The firm is made up of wonderful people who genuinely love to make a difference in the lives of others – which makes CFW Careers stand out! 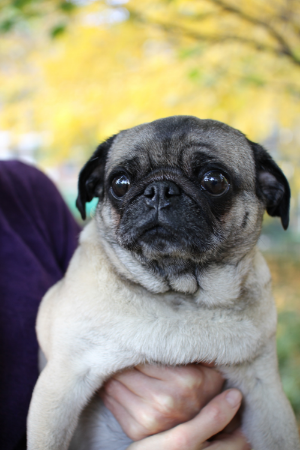 CFW Pro Tip: If you haven’t yet been persuaded, our mascot pug, Sally King, will bring the message home. What working environment is complete without a dog?! If you’re interested in pursuing an internship with CFW Careers, or if you are looking to make a career move and are interested in sales, contact us at careersteam@cfwcareers.com.